Quiz inside (with audio): Can you tell which guitar is which? Discussion in 'Guitars in General' started by Danielle, Apr 16, 2016. I thought I'd try something fun this weekend since I have some free time this afternoon! There are TWO things to guess (amp and which guitar is which). I recorded some brief, sloppy 30-second sound samples with a number of various guitars through exactly the same rig and settings. I thought it would be fun to see if you can all guess which guitar is which. In order to keep it as straightforward as possible, I have done zero editing or processing, in fact I'm just posting the entire clip as a 24/96 uncut wav. There was no post-production—no compression, no EQ, nothing. I used just 1 guitar cable and just 1 amp for the whole thing, no pedals. I did not move the mic the entire time nor adjust the amp settings the entire time. 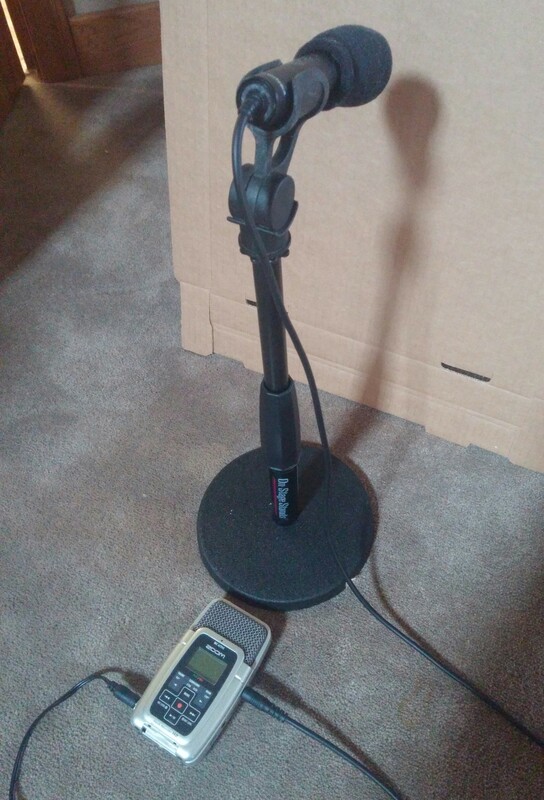 I've got some decent mid-priced mics here and at first I was thinking I'd use an SM7 or a Blue Baby Bottle or something, but as I was setting up, I decided that no, I'm just going to do this entire thing with my old, cheap Zoom H2 + an Audio-Technica Pro24 stereo field mic instead. This is exactly the same setup I use to record my live shows (just for my own review, with the mic on a 9' boom stand), and I thought it would be more fun—and more challenging—to see if you all could tell which guitar was which using a budget-minded, live-in-the-room recording setup. I figure, there are plenty of sound comparisons online with proper studio mic'ing and so on, but my goal is to see if you can tell the difference in something closer to a live setting - no studio tricks, no fancy mics, not even an interface. Just a budget stereo field recorder and a budget stereo field mic, solo'ed (not in a mix), in a my living room. I apologize for the sloppy playing in advance by the way... I did this in about 10 minutes total; I neglected to remove my cat from the room first and he got curious—I was trying to shoo him away with my foot while I was playing! Aside from trying to guess the guitar, I thought it would be fun to list some amps I have and you see if you can guess which one I used. Just FYI all the settings on the amp are flat. Since some of these amps are single channel, some are solid-state, and some don't have effects, I used a simple low-volume, clean, dry tone to make it harder to guess. If you hear any air it's just the room. I mic'ed the loudspeaker about 8" away centerfire on-axis. Please note that the Pro24 is a stereo mic. 1st: Which amp do you think this is? Since some of the guitars I used don't have bridge pickups or tone knobs, and some of them have single-coils and others have humbuckers, I used either the neck humbucker (for the humbucker guitars) or the neck + mid pickup together (for the single-coil guitars) to make it harder to guess, so you can't listen for hum. All clips were recorded with the pots wide open. See if you can guess the amp, and see if you can guess the correct order of the guitars! I'll edit this post to include the correct answers tomorrow (Sunday 17 April) evening. 2nd: In what order are the guitars played? These are NOT in the correct order below. I will reveal the correct order tomorrow. If you guys enjoy this, I might do it again with some other guitars and/or other amps, too. Anyway let me know which one you think is which and I'll reveal the answers tomorrow! Seeing as this got no replies, do you all want me to post the results? I'll write it up if someone asks me to. The quiz got 38 participants but I also posted it on Reddit. no one will reply because many of these guys don't want to admit it's almost impossible to tell the difference between guitars. Actually it wasn't really dialed back; the amp was set totally flat, and the guitars were all set wide open. I used the neck humbucker on the humbucker guitars, and the neck + mid setting on the single coil guitars. Other than that I just played some single note stuff and some chords. This is as "bare" a test as you can get I think. No effects, no EQ, no compression, no overdrive. So here are the results! 54 people took the quiz; 46 answered all the questions. I'll post your all's answers first, and then reveal the correct answers below. Equal numbers preferred the partscaster and the Schaefer carved archtop. Please note that the Schaefer and the Ibanez Pat Metheny both had 12 gauge flats. The rest had rounds. The Fender had 12-gauge rounds; the Eastman had 13-gauge rounds, the Parker and the partscaster both had 10-gauge rounds.